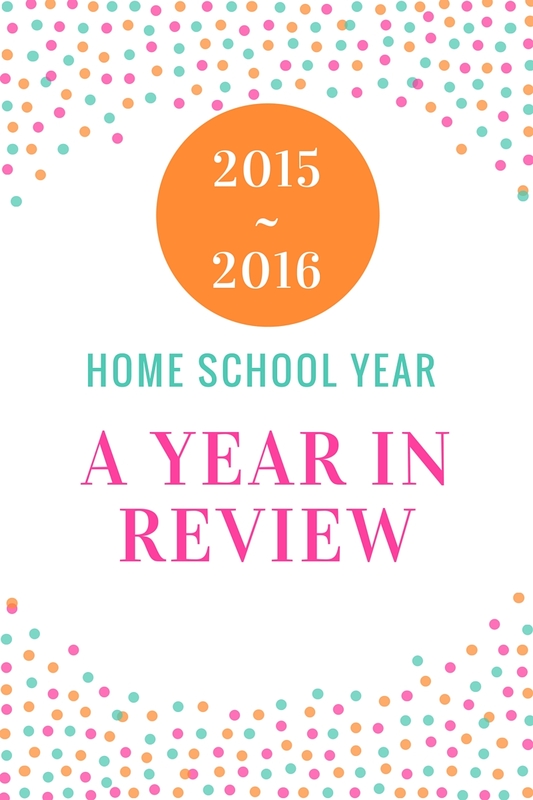 Since I posted our tentative plan for next school year, I thought I would share what we did this year. 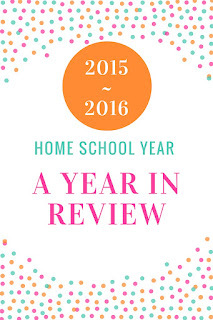 Going into our seventh year of teaching our children at home, last summer was the first time I still did not have any type of plan that close to the beginning of the school year. Nothing seemed to fit for my children's needs... and then slowly, the Lord showed me the perfect fit for this year. - Weekly Bible Memory Verses - Eventually, the children started writing their Bible verses once Monday through Thursday, neatly, and then said the verse on Friday. - Bible lesson / Reading - Easy Peasy New Testament Study This curriculum is a full year online curriculum that is FREE. We really enjoyed this study and layout. - Life Skills by the Etiquette Factory - This was an online program that we all loved. Each day the children would log in and watch a video on a particular topic. Many of the videos also showed an incorrect way and a correct way of behaving in those circumstances. My kids liked that! I would highly recommend this curriculum for its price. -Sequential Spelling 1 - This year we started a new spelling program because my kids were struggling remembering their spelling words the next week after they had their tests. After researching several spelling options, I found this curriculum with high reviews, and easy to implement. With this program it can be taught two different ways: with a parent saying the list of words or on the computer. The unique approach to this program is that it teaches word families or groups. The child goes through a different list of words each day, not the weekly spelling list that classrooms traditionally use. After the child writes each word, the parent or computer shows the child the correct spelling of that word. - Daily Grams Guided Review for 3rd & 4th Grade - This is an old version that was giving to me that we had started at the end of last year. My kids really liked doing these, so we continued using them as a daily review of grammar. This literally takes about 2 minutes to do. - Easy Grammar: Grades 4 and 5 - Again, this was an old version, but was a perfect fit for what I needed this school year. Prior to this we had always used A Beka Language for all their language arts. I was a bit nervous not using A Beka, but this program makes teaching grammar so simple! While my children were younger we used First Language Lessons, and this has a similar style that they identified with better. This typically takes no more than 10 minutes. - Easy Peasy Language 4th and 5th - I used this for writing papers and quick review games for them. We didn't stick to this each day, but was selective of the assignments. - Faith & Actions: Missions Blog - One of the assignments in Easy Peasy had my oldest to create a blog. This gave my other child the idea to start a missions blog and write for it. This blog has not only had her writing blog posts, but also taught her to use images on the computer, creating emails, making business cards, and writing thank you cards to supporters. This has also encouraged fund raising ideas and increasing my daughter's excitement to use her sewing talents to raise money for missions. One assignment brought multiple learning experiences! - Easy Peasy Step 1 - We made the switch after Christmas because my son was having a hard time understanding the teaching style in his other curriculum. He learns better watching the various videos offered from this FREE site. Many of the lessons use Khan Academy, which does a great job explaining the lessons, step by step... and IT'S FREE! - Khan Academy - After my son finished the Easy Peasy Step 1, he just logs in to this FREE program online and is working on mastering all the math levels and concepts for his grade. My child, the one who HATED math, now does 3 lessons a day, writes his math problems down (unlike before), and has improved his scores greatly! - Easy Peasy Early American History - Again, this curriculum is online FREE. I was a bit uneasy about using it, but it has been our favorite this year! The kids have made two different newspapers for the time period they were studying, written reports on people they've studied, done a skit on a war. Plus, they've read classic books online, for FREE that went along with the study, all linked from the site in the daily lesson plans. - STEM Scouts - My oldest started this class this year with a few of his other friends. I was not certain how beneficial the class would be, but he has enjoyed it and learned more than I could have ever taught him at home... as an added bonus, his grandfather teaches his class! - Voice - My youngest tried this for the 1st semester. We quickly realized we couldn't handle that many activities going at the same time. - Fiddle - This began for both of them after Christmas through an online site. We do not recommend taking lessons for an instrument that you've never played online. The children had many questions, and not really a good way to ask. We will try something different in the future. - 4th & 5th Grade Home School 4-H Meetings - Our county offers a monthly meeting during the school year just for our homeschoolers. It's a great opportunity for them to do community projects, and write and deliver a speech, plus try out their cooking skills. - Nutrition, Health & Fitness - Technically, this is for my youngest, but for the past few times my oldest has tagged along. They typically cook something, learn about its nutritional value, and do some exercises. They also do community projects, too. - Read Alouds or Audio books - Since we spend a great deal of time in the car, I try to use that for our audio books. We highly recommend the Elsie Dinsmore series, along with the Anne of Green Gables books and YWAM missionary books.